Founded in 1931, and family-owned and operated since 1958, the C.I. 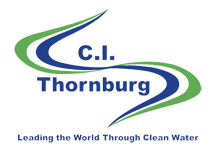 Thornburg Company (CITCO) has been trusted for more than 80 years by municipalities, contractors, and other customers as the most reliable and dependable source of products and services necessary to the provision of water and wastewater services. For us, the provision of clean water is personal – it’s our life’s work.